Some very exciting but long overdue news from your beloved Eigenstudio: we are collaborating with a very talented company, Fantastificio, to work on Virtual Reality applications! Fantastificio entered in the exciting world of 360 videos, to be experienced using a head mounted display such as Oculus Rift or Samsung GearVR. They asked us to land a hand in creating an app to visualize the videos, and Eigenstudio answered right away! 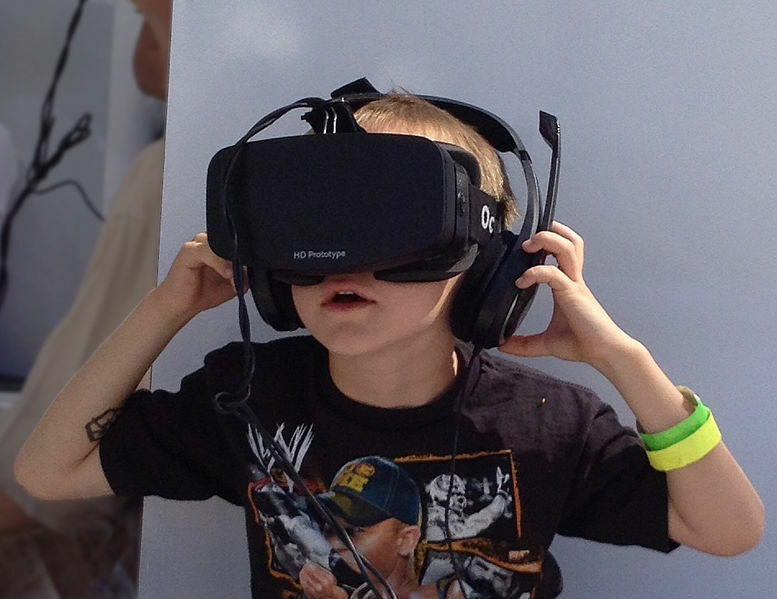 That first journey into Virtual Reality went so smooth that we instantly knew we wanted more! So we started to work on more extensive VR interactive experiences, using Unity5, UE4, GearVR Framework and whatever we needed to learn to implement what we envisioned. 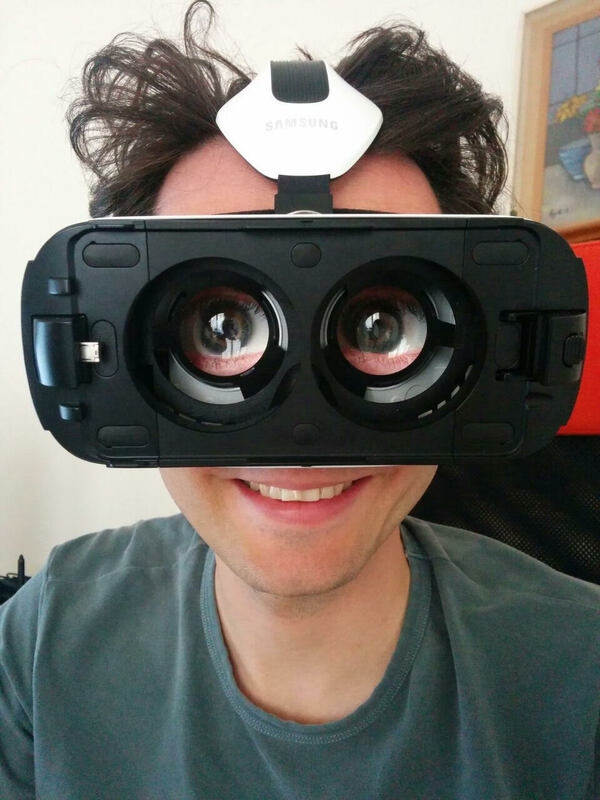 Samsung GearVR with blue eyes inserted. :))) Blue eyes are funny. 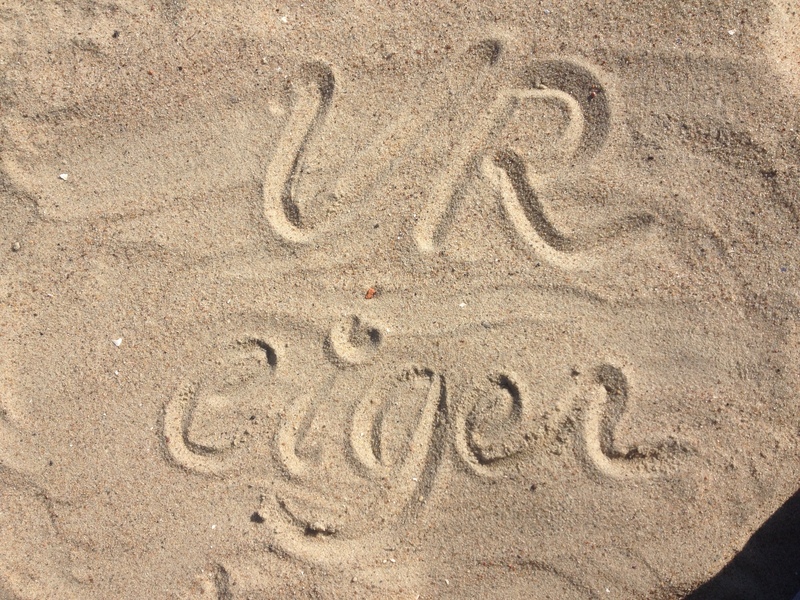 Go Eigen team go! Looking forward to hearing more updates on this. 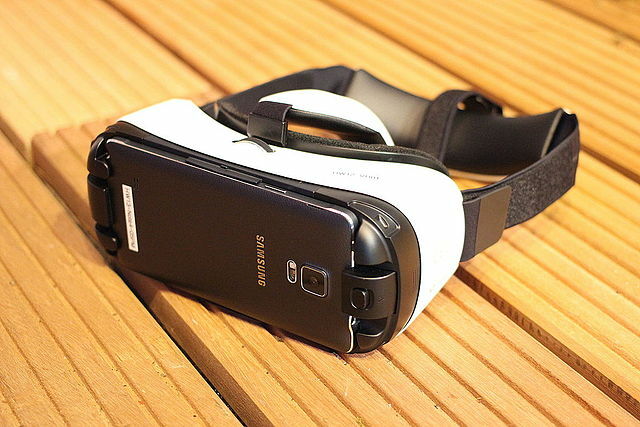 Virtual reality is all over the news now. Bring it to Istanbul too! Bol sans kucuk!